If you are looking for the best motorcycle battery charger that is available in the market today, you came at the right place. Keep on reading the rest of this post and I will help you to make the right decision. We will have a look at some factors to consider, and most importantly, the top picks that can be taken into account. If you find it hard to get settled with a final decision, here are some of the best options that you might want to take into consideration, as well as some of the notable features. This is a smart battery, which is basically why it is named as such. One of the things that I personally loved about it is how quick it will be able to charge your battery. It is also a good thing that you will be able to choose 6 and 12-volt batteries, whether they are sealed maintenance-free, lead-acid, or gel. It offers a 4-step power program – Initialization, Bulk Charge, Absorption, and Float Modes. It has an intelligent microprocessor, which acts as its brain. This is one of the reasons why this can be user-friendly. All that you have to do is leave it plugged and it will have your battery charged on its own. It can also be a good choice if you want a battery that can offer automatic calibration. It has the ability to measure how much has been charged, which will be a good thing when it comes to the prevention of overcharging. Lastly, it also comes with a waterproof design. 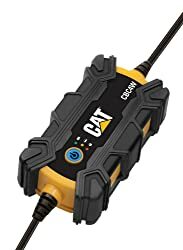 This is one choice that you might find to be impressive if you are looking for one that can be used even in the outdoors without having to be worried about water. Among others, one of the features that you might find to be impressive with this model is its smart charging capability, which allows it to function as if it has a mind of its own. This is made possible by the ISM microprocessor that is integrated into this model. The four-stage charging phase is another thing that could possibly give you a good reason to have it chosen above its competitors. The battery, through the use of this charger, will undergo qualification, bulk, absorption, and float. When it is fully charged, it will automatically switch to float mode, which will enable the maintenance of optimal charge. 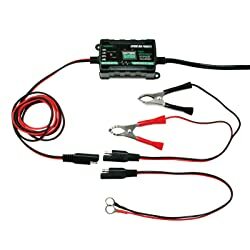 Another feature that you might like about this motorcycle battery charger is the 72-hour timer, which is crucial for safety. This will also prevent damages not only on the internal components of the charger but also for the battery. Lastly, the 5-amp output is also impressive. The latter is higher than the charging output of many of the chargers you can find in the market. This means that it will be able to fully charge your battery within a shorter span of time. One of the things that give this a distinct advantage above many others within the competitive landscape is its waterproof construction. It is submersible to a depth of up to 1 meters. Even if it gets wet, you can be confident that its functionality will not be affected. 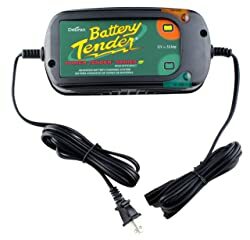 If you are looking for a motorcycle battery charger that can be versatile, this is one option you may want to consider. It is a good thing that there are multiple ways by which it can be connected. You can choose from using clamps, O-rings, and the included cord. The ability of this model to deliver fully-automatic and regulated charging is one more thing that you may love. For this reason, it can be seen as a smart charger. Just leave your battery charged and it will do the job on its own. This can also be a good choice if you are looking for one that is safe to use. It has a variety of features that will ensure safety, aside from its compliance with existing standards. It is also worth noting that it is corrosion-resistant. Among others, one of the first things that you should do is to determine the kind of battery that you have on your motorcycle, which will make it easier to narrow down the possibilities when it comes to the chargers that you should purchase. Most of the options will work well with different types, except for gel-cell batteries. Make sure to pay attention to the specifications from the manufacturer to avoid buying the wrong type of battery charger. They are the oldest form of batteries for motorcycles and are popular because of their cheap price. However, while it is cheap, one of the most common complaints is how it will require more effort on your end when it comes to maintenance. Most of the chargers will be suitable for this kind of battery. The name in itself will already provide you with an idea of what you can expect from this type of battery. It is a favorite amongst many people since there is no maintenance required in its use. There is no need for adding water. The acid is also sealed. This is pretty much similar to the type of battery that has been mentioned above, with the biggest difference being the fact that you will need to add acid before it can be used. This is one of the best batteries that you can have. The typical life is five years and within such period, there is no maintenance that will be required on your end. Its chemical and thermal stability are just some of the reasons why this option is preferred by many people. This is another type of battery that is maintenance-free. They have gel electrolyte, which is basically the one that is responsible for delivery exceptional vibration resistance. Many of the chargers that can be used in the batteries above may be unsuitable for this type. If you have a gel battery, make sure to buy a charger that is especially designed for it. How To Choose the Best Motorcycle Battery Charger? To be able to differentiate the options that you will be confronted with, here are some of the most important things to keep in mind. Read Reviews from Other People: If you are clueless on which one to pick, you should consult with what other people have to say. Reading online reviews is a good way to be able to narrow down the possibilities. By doing this, you will be able to easily determine how one product is better than all others. Determine the Type of Battery that you Have: This will bring us back to the discussion earlier. Take note of the fact that not all chargers will work for all batteries. Take note of what battery you have in your motorcycle to decide on which type of charger is appropriate for your needs. Know the Size off your Battery: You also have to take a look at the technical specifications of your battery. One of the things that should be looked at would be the cold cranking amps. You also need to consider the reserve capacity of the battery. They are determined by the manufacturer of the battery and can be commonly found on the top or side. If your battery has 30 amp hours, this means that if you choose a charger that has a rating of 10 amps, it will take roughly three hours for the battery to be fully charged. Choose a charger with highest amp rating if you want your motorcycle battery to be charged quicker. Know Your Needs: You should also know the condition of the battery. If it has been completely discharged, you will need a type of charger that will be capable of handling such battery. On the other hand, a battery with Maintenance Mode is what you should pick if you only need to maintain a battery that is regularly charged. There are also batteries with engine start function. As the name implies, this is an excellent choice if you are looking for one that can also be used for jumpstarting battery. Consider Waterproofing: This is one thing that many people may not find to be necessary. However, if you are always outdoors, it would be better to choose one that comes with a waterproof construction. Think about Climate: The specific climate at where you live will also have an influence on the type of the battery charger that you should purchase. For instance, if you live in an area that has a freezing temperature, you should pick one that comes with adapted cables that can withstand the cold. From the different options that have been mentioned above, if there is one that I can recommend for you to choose, it would be Extreme Max 1229.4000 Battery Buddy Intelligent Charger. The latter is known for its smart charging system. It won’t take long before your battery is fully-charged. The best thing is that it comes with a price that won’t hurt your wallet. 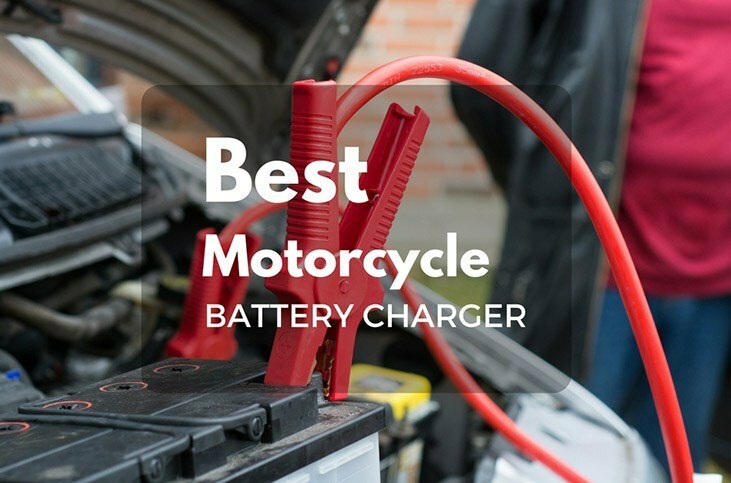 Given it may feature and excellent performance, there is indeed no doubt that it will make an excellent candidate for the best motorcycle battery charger that you can find in the market.